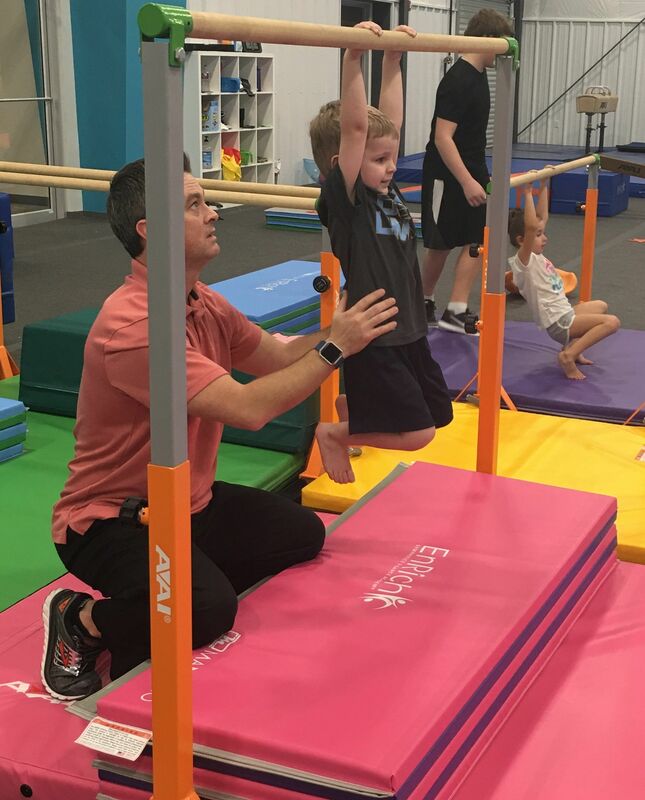 We provide your little gymnast with fundamental gymnastics movements that develop and improve gross motor skills all while enjoying a safe, fun, nurturing, and creative environment. Parent and Me (18 mo. 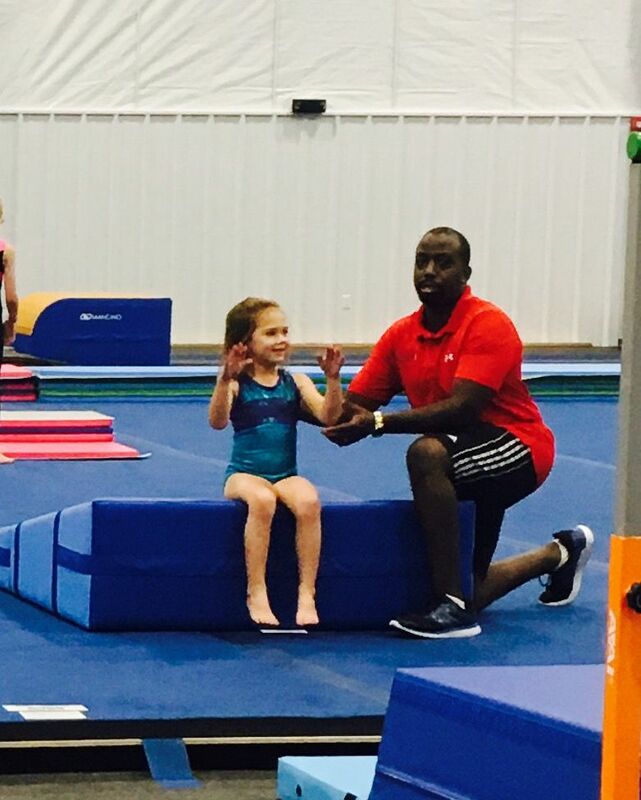 to 2 1/2 years old)- Enjoy your child's first experience with gymnastics first hand! Your little gymnast will discover a new world of flipping, swinging, jumping, and climbing all in the name of fun. We emphasize development of listening skills, body awareness, and gross motor skills. Penguins (2 1/2 to 3 1/2 years old *Must be potty trained)- Our Penguins learn the joys of cooperative play in a fun and creative way. 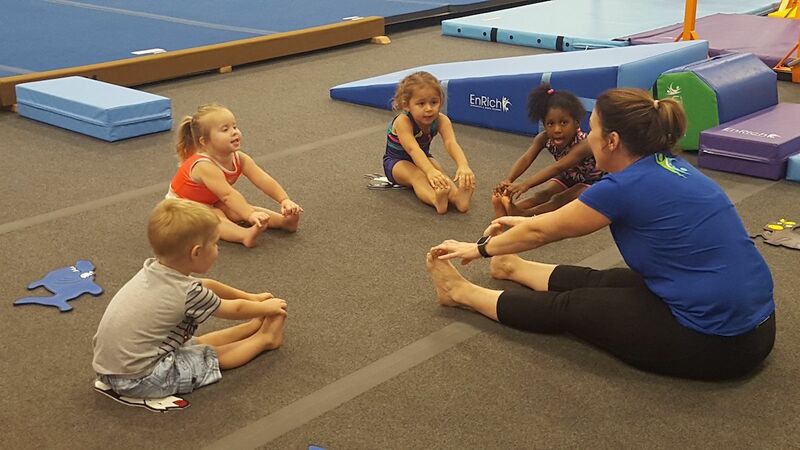 We use gymnastics as preparation for your child's first school experience. Usually, this is your child's first activity without a parent (No worries, parents, there will be plenty of kleenex in our beautiful lobby for you!! :) ). Ducks (3 to 4 1/2 years old *Must be potty trained)- A child gets their wings! Once your little gymnast has refined listening skills, our Ducks focus on aspects of independence. Watch them tackle each individual station and soar to new heights. Cockatoos (3 to 5 years old)- Cockatoos are our most advanced little gymnast. Watch them accomplish amazing feats and do the impossible! It is in this level that our gymnast master and refine their basic gymnastics skills.